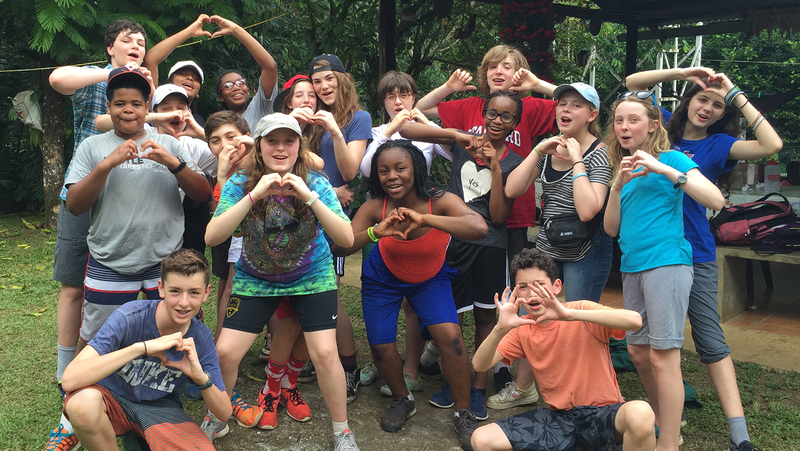 Berkeley Carroll has partnered with World Leadership School to organize this unique program in Costa Rica. The mission of World Leadership School is to empower young leaders to find innovative approaches to the world’s pressing problems. Where : Costa Rica ranks among the top 20 countries world-wide for biodiversity, despite the fact that its land area represents less a third of one percent of the planet’s surface. There are more than 1,400 species of orchids in Costa Rica and new ones are discovered each year! This staggering biodiversity stems from Costa Rica’s function as a land bridge between two continents and the country’s eclectic combination of ecosystems and geographic features – including rain and cloud forests, savanna, mountains, volcanoes, two separate coastlines, beaches and mangrove swamps. What : Our partner communities in Costa Rica are located in the vicinity of Puerto Viejo de Sarapiqui in Northern Costa Rica, just a short 2-hr bus ride from the capital city of San Jose. This close proximity means that students will be able to experience the rainforest within hours of arriving in Costa Rica! Our communities are ideally situated for student groups and during their stay, students will be immersed in Costa Rican language and culture. The area is also home to some of Costa Rica’s most important parks and rain forest reserves. Upon arrival, we will begin our orientation and settle in to a comfortable, family-owned eco-lodge where we will stay for the entire trip. We will begin to explore our surroundings, including the nearby rain forest. Each morning, we will work on a meaningful service project, which will be designed in consultation with the local community, based on their needs and desires. The afternoon will be full of cultural activities, sports and free time. On certain evenings, the group will reconvene for reflection sessions. Berkeley Carroll is supporting Chilamate Elementary School on a major infrastructure project. One of the biggest issues facing the 130 students in this school is the lack of a covered auditorium or space for school activities, assemblies, meetings etc. The School Board has been writing letters and soliciting support to build such a space, but the budget estimates are around $30,000 and access to such amounts or donations of such amounts are very difficult to come by. The Chilamate School Board has secured a donation of used materials, perfect to build the roof necessary for this space. The donation came from the government electrical company, ICE. The donated materials include: beams, tin roofing sheets, and the major metal structure for the roof. A major investment in labor and materials like anti rust treatment and paint is required, that is where BC will be helping out. Together with Grade 5 and 6 students of Chilamate School, we will be treating and painting the roof sheets and the rest of the materials before installation. We generally try to use only water-based paints with students, but in this case, it is necessary to use oil-based products. Students will be required to use protective gloves and wear clothing and shoes that they are not concerned about staining, in order to fully participate. The service project funds raised by BC will go to the materials necessary for treating and painting the building materials, the construction of the cement beams/main structure and the labor and materials required for installing the roof. There is already a cement area in place where we will be installing the auditorium roof, but we will also need to fix some areas of that cement floor. The Chilamate School Board is very excited and grateful about the collaboration and is committed to covering any expenses over and above the $6,000 raised by BC to finish the project adequately.